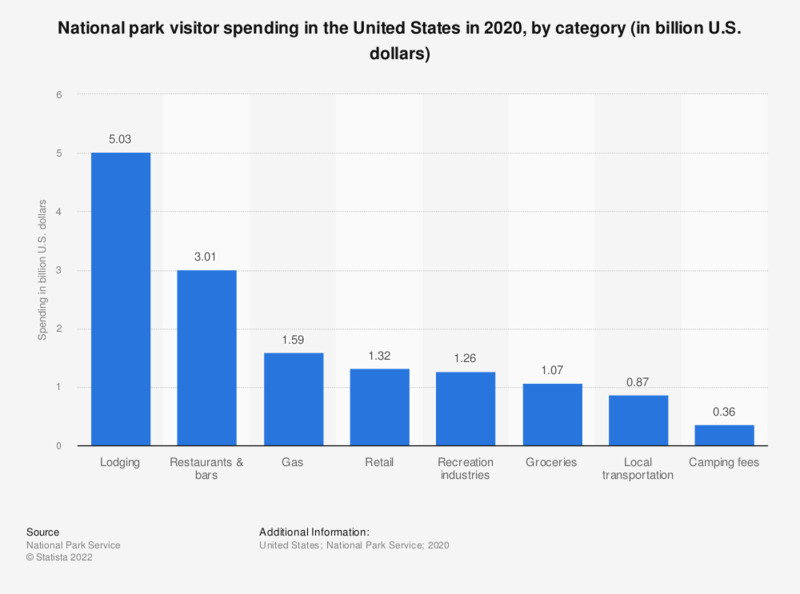 This statistic shows the distribution of national park visitor spending in the United States in 2017, by category. National park visitors spent 20.44 percent of their total visit expenditures on restaurants and bars in 2017. In 2017, National Park visitors spent a total of 18.2 billion U.S. dollars.